Studio Tarang is a Belgaum startup founded by Rashmi. Rashmi was born and bought up in Bangalore, but she settled in Belgaum after marriage. 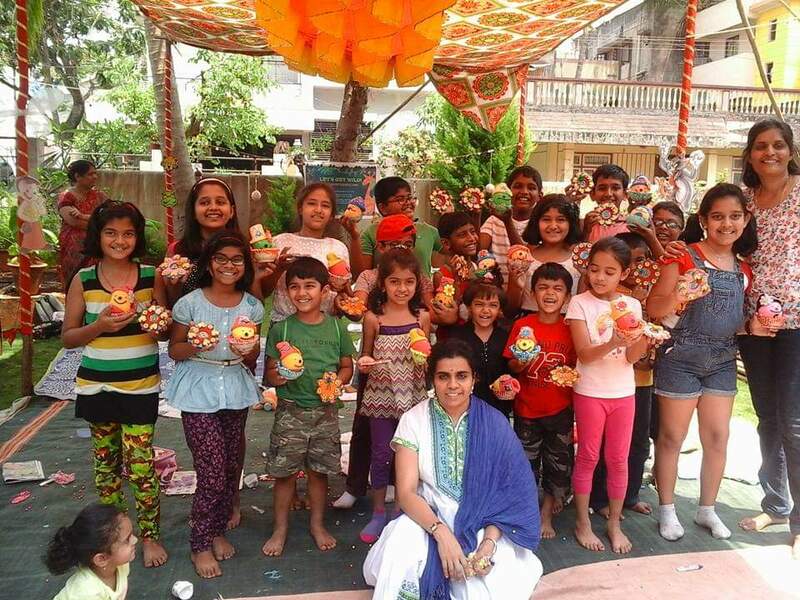 Studio Tarang is a creative enterprise where we focus on Art and Creative products along with educational kits. 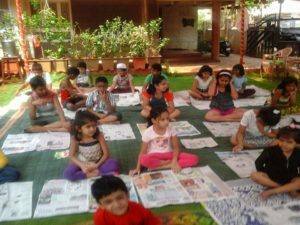 From inception till now in 6 Years span, Tarang Hobby Studio is been recognized as one of the best places to learn Art and Craft by various Institutions and by localities. We are into teaching and as well as creators of DIY Kits which is catered to various educational institutions and as well as enthusiastic Momprenuers who want to make this creative passion as a profession. We come up with new product line periodically to ensure we are on track with market trends and interests, says Rashmi. 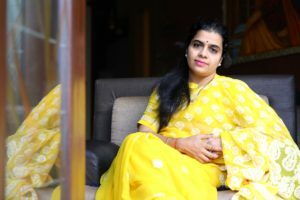 We at Bangalore Insider had the opportunity to catch up with Rashmi, the founder of Studio Tarang and to know more about the startup, read her inspiring story. Give a brief info about your startups? 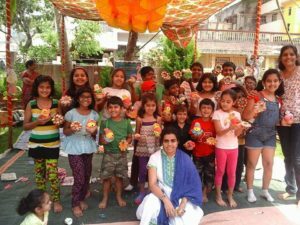 Studio Tarang is a creative enterprise where we focus on Art and Creative products along with educational kits. From inception till now in 6 Years span, Tarang Hobby Studio is been recognized as one of the best places to learn Art and Craft by various Institutions and by localities. We are into teaching and as well as creators of DIY Kits which is catered to various educational institutions and as well as enthusiastic Momprenuers who want to make this creative passion as a profession. We come up with new product line periodically to ensure we are on track with market trends and interests. Apart from DIY Kits, Tarang has entered into Premium handpainted Jewellery designing, execution of portraits, corporate gifting to name a few. This journey has bought me few recognitions which are listed below. Been awarded and featured as Momprenuer by Premium Online Toy Company “YELLOW GIRAFFE”. We got featured in and as ONE OF THE “SMARTINDIAN WOMEN’ across the country for our creativekits made from the city like Belgaum. We got awarded and featured BY ‘MOM INC, BABYCHAKRA” the premium online portal as “MOM EDUPRENUER” for our contribution towards teaching arts and crafts and for the innovative handmade gifts we manufacture. We were featured in the city’s own creative magazine among top 100 artists for creative work. We got featured in the INTERNATIONAL PRINT MAGAZINE “ESHE” which recognizes women in various fields. And they also aired us on the webpage for our creative work. Got featured as WONDERWOMAN recently where they felicitated us for our creative works. Tarang has an honour to be selected one among the India for the mentoring program by Cherie Blair Foundation for Women Entreprenuers. Tarang’s kids got aired at ALL INDIA RADIO, BANGALORE for Sanskrit Shloka rendering. My daughter was a precious child to us as she was born after 8 long yrs of wait. My husband was the only one support system for me as we are a nuclear family n his parents have departed long from journey of life. I couldn’t take up the corporate work as I couldn’t leave her with caretakers but at the same time couldn’t sit idle. Lot of thought flows happened and there shaped Studio Tarang which was formerly called Tarang Creative Club during inception 6yrs back. I started this as I loved and had passion about art and creativity but yes I never thought it would open me up into a new world in shaping my career. Yes, my education and what I do doesn’t have 10% match but I enjoyed my career phase before kids using my education and now my career after kids with my passion and love towards Artwork. So I can say a perfect balance I have had till now.. It was named Tarang as it was formed with waves of thought in my mind and I was particular to give my firm a ethnic Indian name. My Studio is my strength and passion. It gives me creative independence, financial stability as well as satisfaction of work i do. Born and bought up in Bangalore, but moved to Belgaum after marriage. My family is a Small Nest of 4 people..myself hubby and precious daughter and rocking son. I Have served in various Multinational companies in Bangalore like Accenture, Fidelity Information Systems, Taj Group of Hotels to name few for last 15 years. Later after my marriage I moved to Belgaum, where I currently stay. I have had the opportunity to work in couple of Good Companies like Shree Renuka Sugars, Gogte Institute of Technology in Belgaum in Senior Positions. I took off from this professional career after my daughter was born. My Studio is based out of Belgaum. Haha… This place has to be best because now as this is my place of stay and work. Transition from Janmabhoomi Bangalore to Karmabhoomi Belgaum!!! Competitors are part of any business. These days we see many woman entrepreneurs in every field. And I must say things have changed a lott even in work front. Women these days are far ahead than what they were before. Now I don’t see competition kind of thing, whatever I have seen is people share ideas, help and motivate you in your business. I am one of the fortunate who never had an issue of anything or anyone. Whomever I have met in this field were more creative, more supportive and excellent leaders who have taught me to move ahead with zeal. Being better than what I was is my actual competition..I would say. I am my own competitor, I can see myself back 7years when I started this and now to what I am. SO, I am better than myself and that’s my true achievement!! Every profession has its own challenges. Being a mompreneur is all together a different experience and challenge by itself. Motherhood is one of the most physically and emotionally demanding jobs and also one of the most rewarding…The experience can turn our world upside down yet can give a woman a new perspective. Being a mom doesn’t preclude being a manager or an entrepreneur. Thanks to the profession I have chosen which binds my personal and professional life to major extent. The more I learn and update myself, the more I become an information source to my daughter. A life partner who thinks as you and supports you in every step solves majority of hurdles at both front. Though at times when I tend to concentrate on either ends, my husband pulls me back and make me realizes the need of the hour. It’s always good to get corrected. Secondly local market and finances is the challenge being in BCity. Being in city like Belgaum, the resource procurement was bit challenging. But thanks to many social media like Facebook and others, wherein I have come across few wonderful people and some great resource chain which has helped me to reach this level. My husband has been a great support and also wonderful guide right from the inception to whatever stage Tarang has reached today. Most things of value are the by-product of an effective process. Build enjoyment into that process and make the journey itself a success. One should have passion behind the concept. Whichever line of business you choose, make sure your groundwork is complete. Make your research on the pros and cons and majorly make sure you breakdown your progress in small steps so that you don’t have to face financial burden. Utilizing social media is the best way to connect to customer base and promote corporate message. Social Media has changed how business works. Secondly set guidelines for how you envision juggling work and family and I am sure it’s different for everyone. Just know that starting a business is not easy, or a great stress reducer, however, it is very rewarding, educational and usually fun with a good support system. As a mompreneur, I live in a constant state of swaying in many directions so just be flexible and rest will follow. Till now I haven’t raised funds externally as I had my husband backing up. Now, that I am taking things in large scale and also many new things have been planned for this year. So I would welcome the idea of raise. Many a times, people think we are super woman and take us lightly. The concept of .. its Rashmi she can do anything. But what it takes to balance all is what they don’t realise. There are sleepless nights and work of almost 16 to 18hours in a day which has made me what I am today. Entrepreneurship that too with two small kids is no cakewalk; it takes enormous energy, hardwork and passion to reach where you want to be. Proper planning, innovative learning approach and systematic execution with heaps of patience is what you require to focus here. The sense of being independent inspires me. No dependency on thoughts, ideas. If you are creative the inspiration comes from everywhere. My individuality where I am in competition with myself inspires me…the determination to change any situation to good be what..is my bottomline. We are a hobby Studio and there are lott of activities when one says hobby. Every day is a new day and new learning. We don’t get restricted to one particular thing. People work whole day and look time to pursue their hobby. But where as we, pursue hobby as a profession which is extremely relaxing. Being your own boss is an advantage to Momprenuers like us. It’s a typical day start with family chores and then kids routines and I try to take time in-between all these schedules for my professional follow-ups, mails, calls, social media connectivity. When I have deadlines and orders to fulfil, the work starts after I finish my household chores at night and goes on late nights until execution of orders. As said earlier its like 16hours to 18hours work schedule most of the days. My team is Me and one helper who helps me in housekeeping and inventory of materials. And my husband who helps in few Admin activities at times.